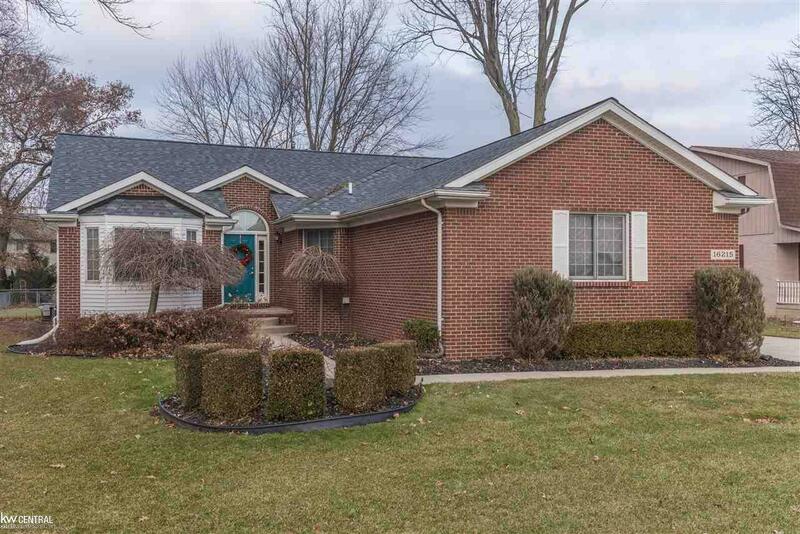 NEWER BUILT 3 BEDROOM BRICK RANCH FOR SALE IN CLINTON TWP. Enjoy an awesome open layout w/ tons of natural light making it the perfect place for entertaining. The 3 main rooms: Kitchen, dining, & great room all connecting w/ cathedral ceiling & flowing hardwood floors will impress any guest. Kitchen comes w/ stainless steel appliances for easy cleaning & a tiered bar height island perfect for quick meals. 1st floor laundry conveniently off the attached garage is ideal for unloading groceries. Plus, the master suite is the perfect place to unwind in your brand new bath featuring tub, double shower & walk in closet. Downstairs your extra tall, fully finished basement gives tons of bonus living space to spread out. It is complete with built in fireplace, (4th) bedroom, storage rooms, & plumbed for full bath. Outside enjoy one of the largest yards in the city, fully fenced w/ private patio area (part covered too) making for awesome outdoor living. Professional landscaping and new roof too.